A novella on a typical Czech topic: a little man. The story is in three chords. An escalating plot, an engrossing narrative pace – and a finale that is, in its tragedy, actually funny. Short, simple sentences, brief paragraphs, the format of prose in verse. The main role is played by Vandam, an ageing pub brawler whose life is reduced to false mantras and empty rituals. He likes to lecture others, particularly about things he himself does not know much about. He is a prisoner of numerous stereotypes inherited from his own family. If he wants to escape from this form of captivity, he betrays both others and himself. 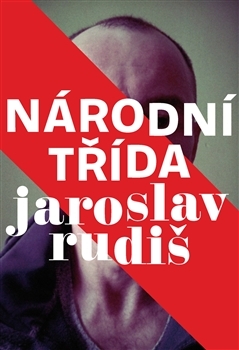 However, Jaroslav Rudiš is merciful to him he portrays him sensitively and shows some understanding for his failure. Also, Vandam belongs to Rudiš’s gallery of runaways escaping their own shadows, outsiders and outlaws. Although National Avenue is a thoroughly dark and hopeless novella, at heart it is true, serious and topical.